In a high percentage of rom-coms, there are two kinds of second-to-last episodes: the ones where either the guy or girl is on the verge of confession, which won’t come until the finale; or the ones where the couple, already together, faces the biggest threat to their relationship, which will be resolved one way or another in the finale. 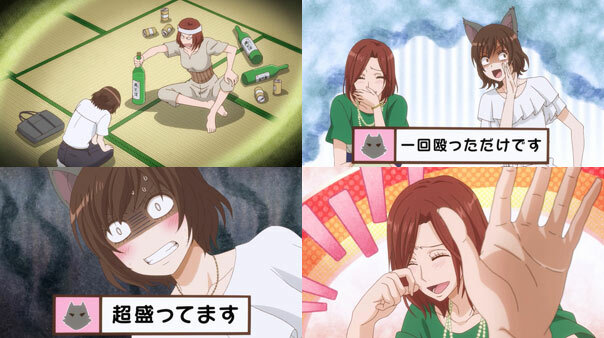 Ookami Shoujo avoids both tropes in its second-to-last episode. Granted, it does so by employing another pretty common trope — the Unapproving Family Member — but employs it well. Kyoya and Erika are already a pretty stable, happy couple, and as much of a force of nature as she is, Kyoya’s sis Reika never seems intent on wrecking the relationship. She mostly wants to know if it’s really true, because it would mean not only that Kyoya had changed a great deal, but the woman who changed him did something that she, his own big sis, couldn’t. 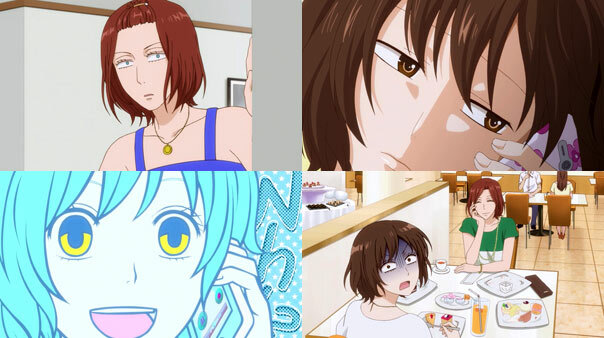 The progression of Erika and Reika’s interactions is predictable, considering their personalities. Erika, who respects Reika telling off a half-assed flirting guy before they even meet, is incredibly intimidated and thus polite and boilerplate ‘brother’s girlfriend’ to Reika. Reika stuffs her full of sweets and continually mocks Kyoya until Erika is forced to put her wolf ears away and defend her man. While Erika’s outburst and harsh words surprise her, Reika is actually pleased with this development, as it proves that Erika isn’t just another one of her bro’s ‘ways to kill time.’ But she still wants to know if things between Erika and her bro are as serious as they’re both letting on. 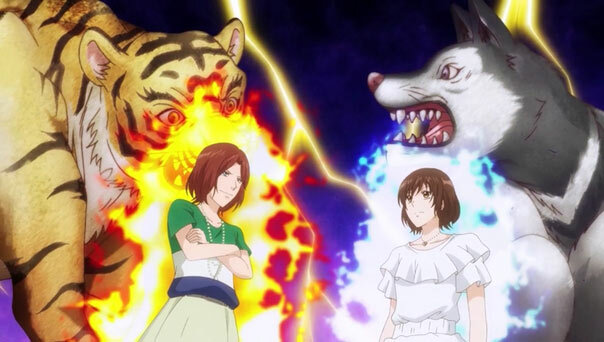 The Tigress Reika challenges Erika the Wolf, vowing to apologize if Erika wins. 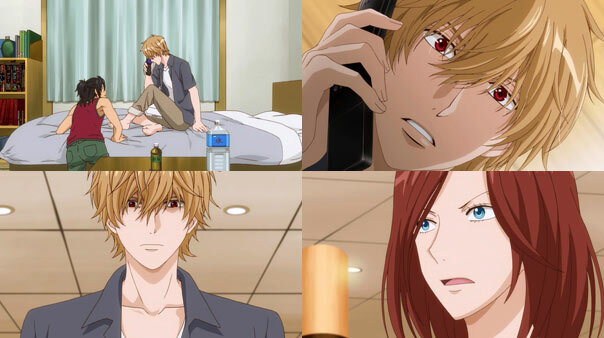 Reika calls Kyoya asking him to pick her up, letting him know Erika is with her, and because she ran her mouth she had to ‘deal with her.’ Much to Reika’s surprise, Kyoya races to the scene and promises consequences depending on how badly Reika treated Erika. This Kyoya is nothing new; he won’t let anyone hurt Erika, not even his sister, just as Erika won’t suffer insults directed at Kyoya, even if they’re from Reika. In a way, Reika did ‘bust Erika up’, but only because she made her eat too much. Erika is sick, and more to the point, sick right in front of Kyoya, something Reika slaps him for, as it was insensitive for him to barge in while Erika was having such an embarrassing time. It was just as wrong for Reika to set them up, but while she won the eating contest, Kyoya’s behavior proved that Erika was right: he can love someone, and he does: her. 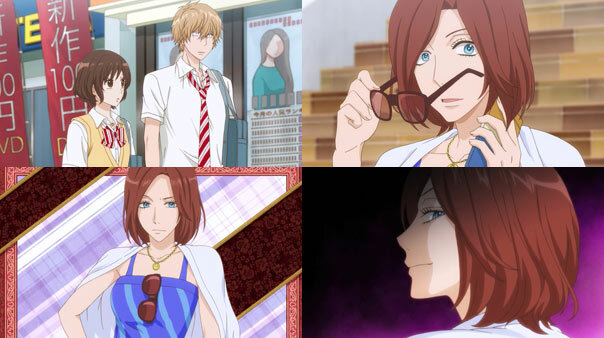 But there’s no time to rest even though the hurdle of the big sister has been overcome; it’s Summer break, and Erika has nothing to do, so she can’t refuse Reika’s invitation to join her and Kyoya at their mom’s place in Kobe. It’s actually pretty funny how quickly they end up there. It’s just…I’m not sure what to make the mother herself: she appears to be an extremely well-built, extremely tanned ‘middle-aged lady’. 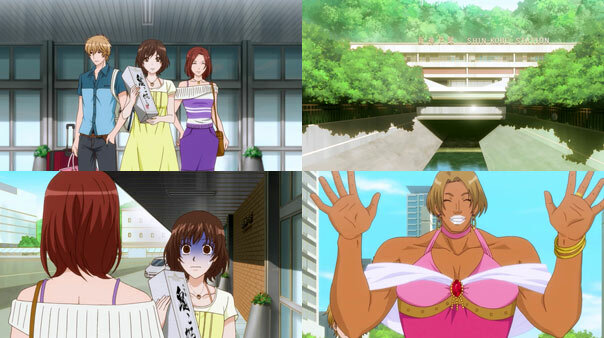 Or the mom could actually be the blonde-haired face behind her left elbow (unless that’s Kyoya). Either way, this should be interesting!